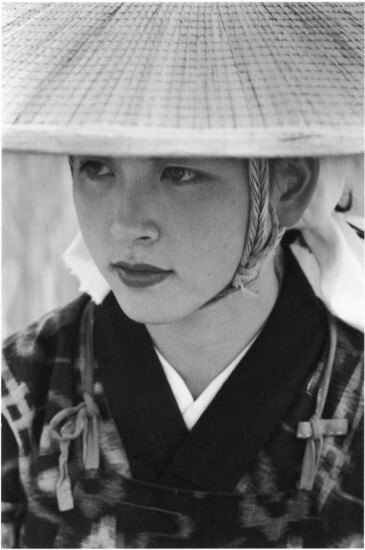 “Metamorphosis of Japan After the War” ends its run at the WLAC Art Gallery at West Los Angeles College, 9000 Overland Ave. in Los Angeles, on July 11. Exhibition hours are Tuesday through Saturday from 12 to 6 p.m. Organized by the Japan Foundation and co-presented by West Los Angeles College and Kio Griffith, the exhibition features photographs by Ken Domon, Ihee Kimura, Hiroshi Hamaya, Tadahiko Hayashi, Shigeichi Nagano, Ikko Narahara, Kikuji Kawada, Shomei Tomatsu, Yasuhiro Ishimoto, Eikoh Hosoe, and Takeyoshi Tanuma. “Since its establishment in 1972, the Japan Foundation has aimed to contribute to the promotion of a better mutual understanding between peoples through cultural and intellectual exchange. To achieve this aim, the Japan Foundation conducts programs around the world in three different fields — arts and cultural exchange, Japanese-language education overseas, and Japanese studies and intellectual exchange. 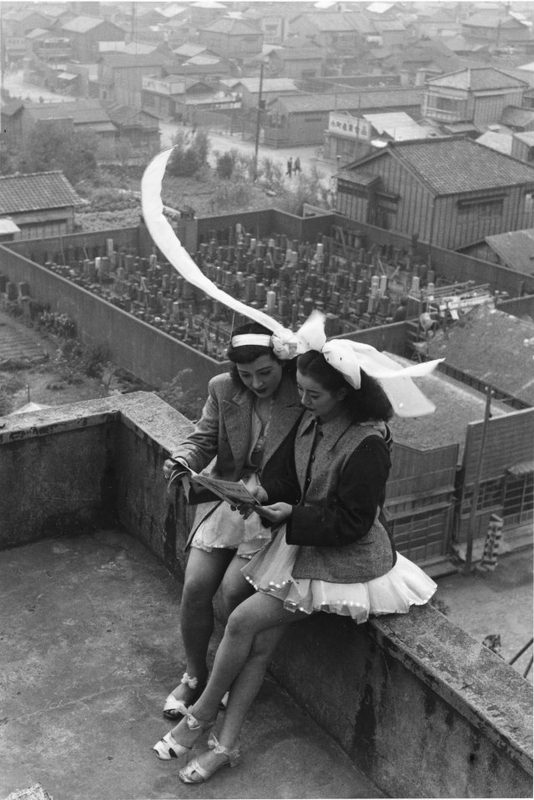 “The foundation is delighted to have been able to organize ‘Metamorphosis of Japan After the War.’ It is with great pleasure that we present this exhibition at a number of venues around the world, introducing the work of 11 photographers who captured images of postwar Japan from 1945 to 1964. “In 1945, Japan made a new start as a defeated and devastated country after World War II. However, after only 20 or so years, the nation’s society, economy, and culture underwent dramatic transformations. It is difficult to specify precisely when the postwar period ended, but for the purposes of this exhibition, we define the ‘postwar’ era as the period from the end of the war in 1945 to the year of the Tokyo Olympics, 1964, by which point the Shinkansen bullet trains were running, and a plan to double national income had raised standards of living, bringing consumer appliances such as TVs, washing machines, and refrigerators to a large number of homes. “The 11 photographers introduced here were each active in this period of dramatic upheaval. Their work records the transformation of society, and many of the photographs that they took are significant from an artistic perspective in addition to being important records. 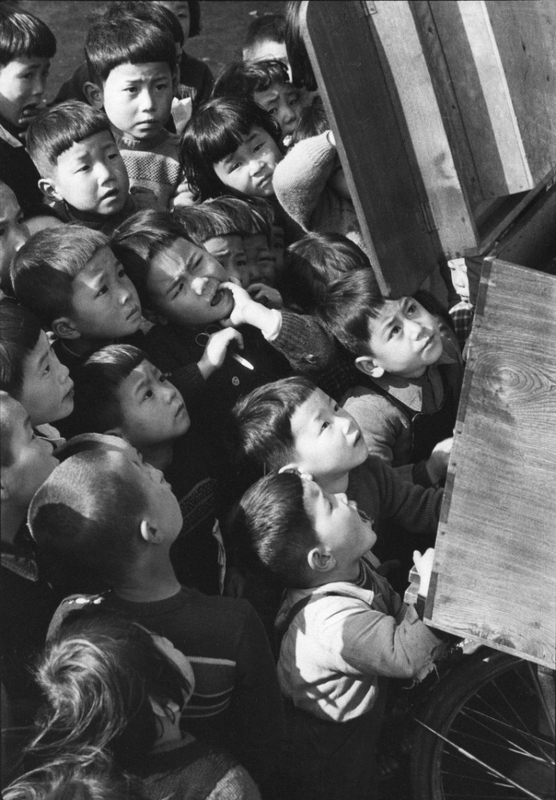 “The photographers selected are Ken Domon, perhaps the best-known Japanese photographer of the 20th century for his cool-headed photo-realism, Ihee Kimura, whose approach to realism was distinguished from Domon’s by its unique aesthetics, Hiroshi Hamaya, who photographed the climates and environments of mountain and agricultural villages together with the lives of their inhabitants, Tadahiko Hayashi, who produced marvelous portraits, Shigeichi Nagano, Ikko Narahara, Kikuji Kawada, Shomei Tomatsu, and Yasuhiro Ishimoto, who represent a younger generation of photographers, and Eikoh Hosoe and Takeyoshi Tanuma, who were two of the photographers who demonstrated the creativity of photography. “Each of these individuals had his own style, but all produced significant works that are important records of this period. It is our hope that as viewers enjoy their undeniable attractiveness and power, these photographs will also provide a starting point for thinking about the society of postwar Japan that was their background.